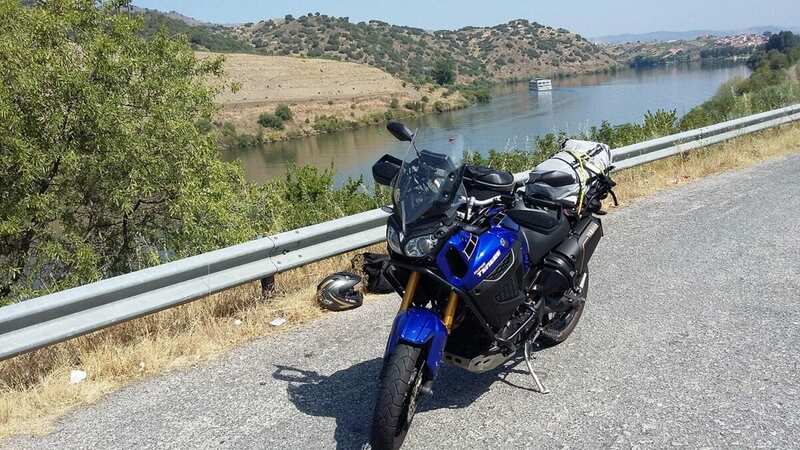 I’ve been riding since I was 16 (on a stripped down Honda fifty), and now ride around four to five thousand miles a year. 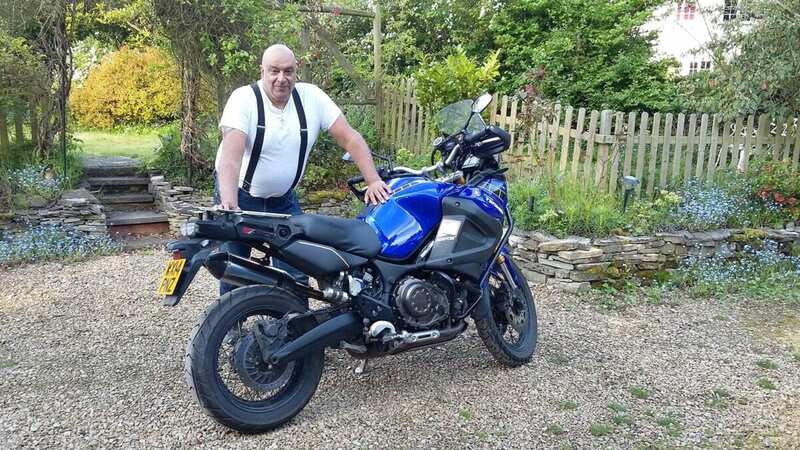 I don’t own any other bikes now, but have put 9600 on the Super Ten, which I bought in September 2014 from John Hammond in Cirencester. 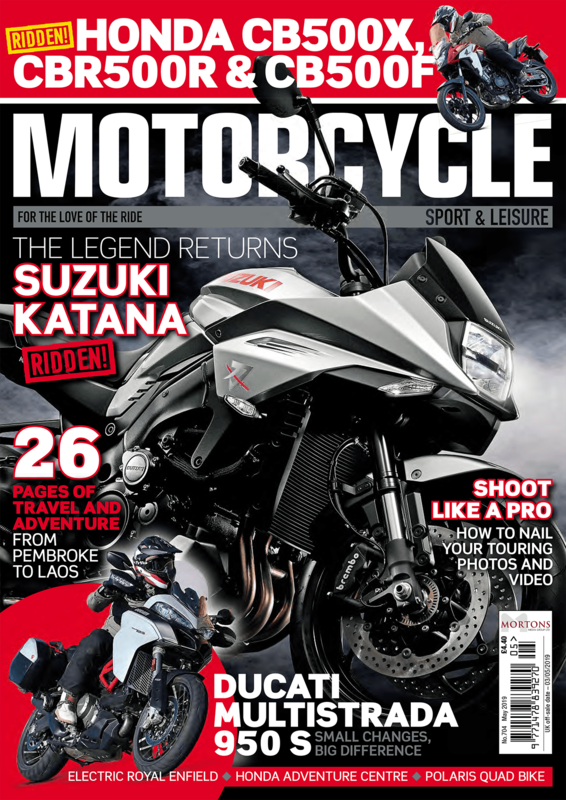 I reckon the ZE model was worth waiting for – it’s a smoother ride and I don’t have to fiddle with the suspension. I like the dual braking with just a pull on the front lever, and of course the shaft drive is great as I don’t have to worry about maintenance. 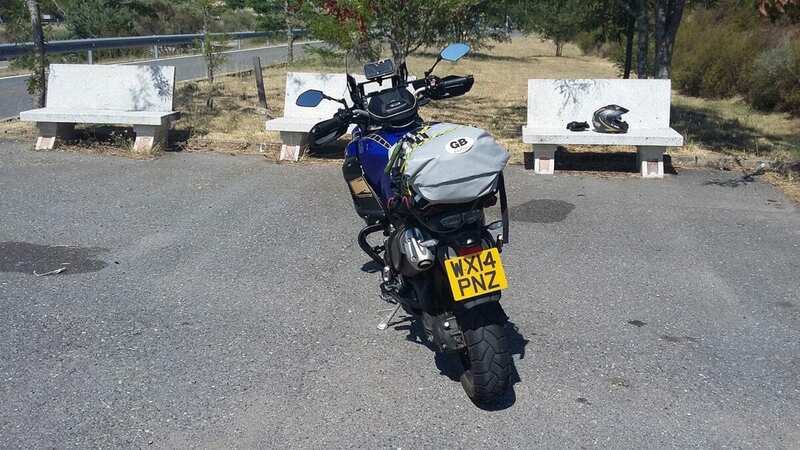 I tried the new BMW R1200GS and the Triumph Explorer, but when you’ve been riding for a while you realise that the bike has to fit you, and the Yam was the best fit. It’s also incredibly stable – you feel like you could pull a sandwich from a pack behind you while doing 90mph on the motorway. There’s a certain feeling of invincibility that comes from that stability. I know that it’s an illusion, but it makes me feel at one with the bike. I also like the look of it; a squint-eyed bodybuilder with thick glasses. It makes me smile. I owned an MT-01 before, because I liked the looks and its difficult-to-place style. That nearly threw me into a large oak tree when it got a puncture in the back tyre. 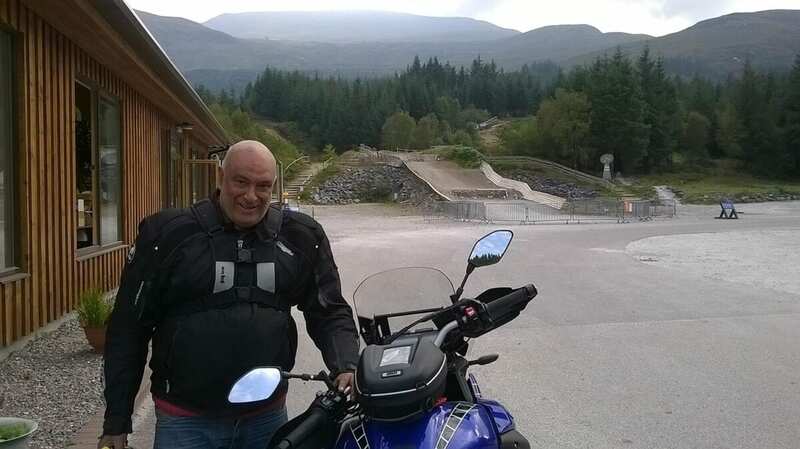 There’s been much said about the ‘boring’ nature of the engine, but I love it and I’ve owned a ’Blade, a Fazer 2000, a Firestorm and a host of other bikes – the engine on the Yamaha is entertaining in its own way; you need to keep the map in sport mode and control your right hand. I also love the space on the bike – even a big man can move around. I disliked the seat that still gave me bum ache after an hour, so have had it custom-covered with extra layers of foam. I also wear Rukka pants that have a thin air-cushion in the seat. I’ve ridden for eight hours straight like this, only stopping to refill my tank and stomach coming out of Germany and into Luxembourg, which was a rush. 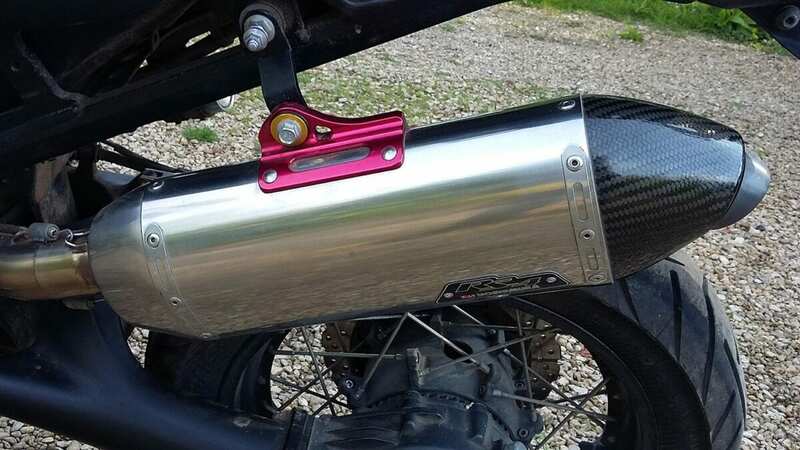 I hated that huge exhaust and its vast covering, so replaced it with a Yoshimura RS4, which makes a lovely popping sound on the overrun and seems to liberate quite a bit more power when you’re pushing hard. 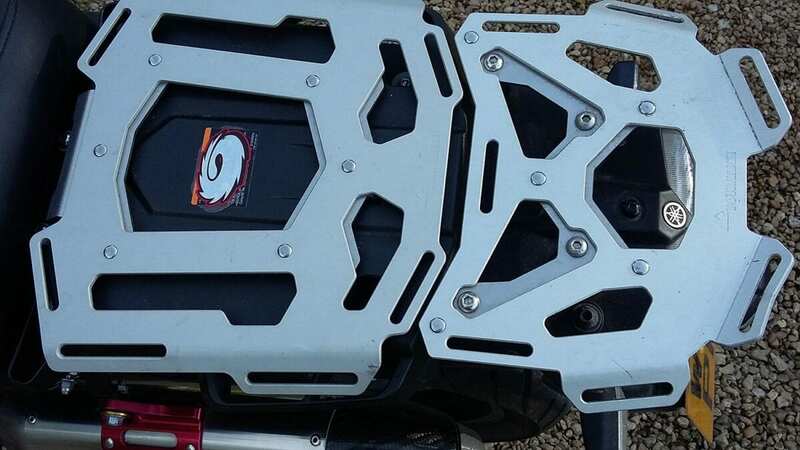 I have taken off the passenger grab handles and foot pegs, while the back seat and rear rack has gone to be replaced with a Touratech load-carrier. I’ve made these modifications because I hate hard luggage – I always think a top-box looks like a toilet cistern. My plan is to travel as light as possible – a six-week tour of Europe was done with 40 litres of luggage that included a tent, sleeping bag and sleeping mat. If I could change anything else I’d like to make the tail even slimmer – I’m imagining a dragonfly look. The biggest changes are the ones that leave 10kgs of the bike in the garage. For a six foot man, the bars, pegs and saddle are perfectly positioned – there’s lots of space. The long wheelbase gives you this and the stability, but going around a mini roundabout is a bit of a challenge. When I was on the trip last summer ­ it was the fiercest heat-wave on record in southern Europe. Sometimes I thought my body would give up but I had no doubt that the bike would keep going. Due to a sat-nav malfunction I went over the Dolomites from Italy to Austria and the bike pulled like a train, even at great heights. The Yamaha is so reliable – it feels like it will go on for ever and I think Nick Sanders has proved that it can do just that. 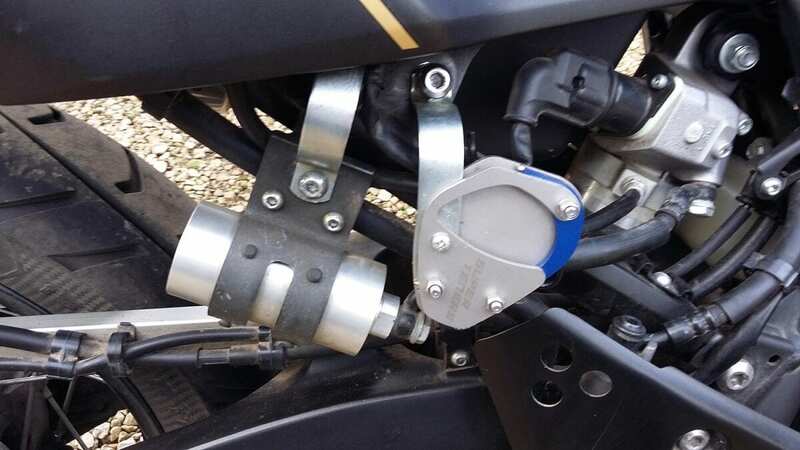 I must mention the electronic suspension – it’s been said that it’s over-complicated but only if you want it to be. I set mine for two people; or if I want it harder, two people and luggage. If I want it softer, one rider and luggage. I’ve tried the fine tune stuff but don’t want to spend that amount of time setting things up. This is not a factory race bike – I think it has a more than adequate suppleness that can cope with all road surfaces. I wouldn’t replace it but I would love to add the new MT-10 to my garage, just for the fear factor… who doesn’t like to be scared witless?! General impressions: The Super10 seems to be carved out of something more solid that metal and plastic… I’ll keep it forever. Next Post:Motorcycles are a bargain: Scientific fact!